The Cura II and Cura II Supreme Community Beds are fantastic bed solutions for patients, providing both back and knee profiling for improved comfort and better positioning. However, when used with a mattress and overlay combination, some patients may require additional support to help ensure their safety and reduce the risk of bed falls. The Cura II Community Bed Full Length Side Rails are wooden side rails compatible with both the Cura II Profiling Community Bed and the Cura II Supreme Profiling Community Bed. Supplied in a pair, they offer enough height to protect patients using a mattress and overlay, helping to prevent them from falling out of bed by accident. The full length of the rails are ideal for patients who do not get the assistance they need from the partial-length Cura II Community Bed Four Bar Side Rails. Thanks to the height of these side rails (480mm from mattress platform), they provide effective patient safety enhancement for those using a mattress and overlay combination, helping to prevent them from falling out of bed by accident. This is perfect for patients with pressure relief needs who require use of a mattress overlay to reduce the risk of pressure ulcers developing. 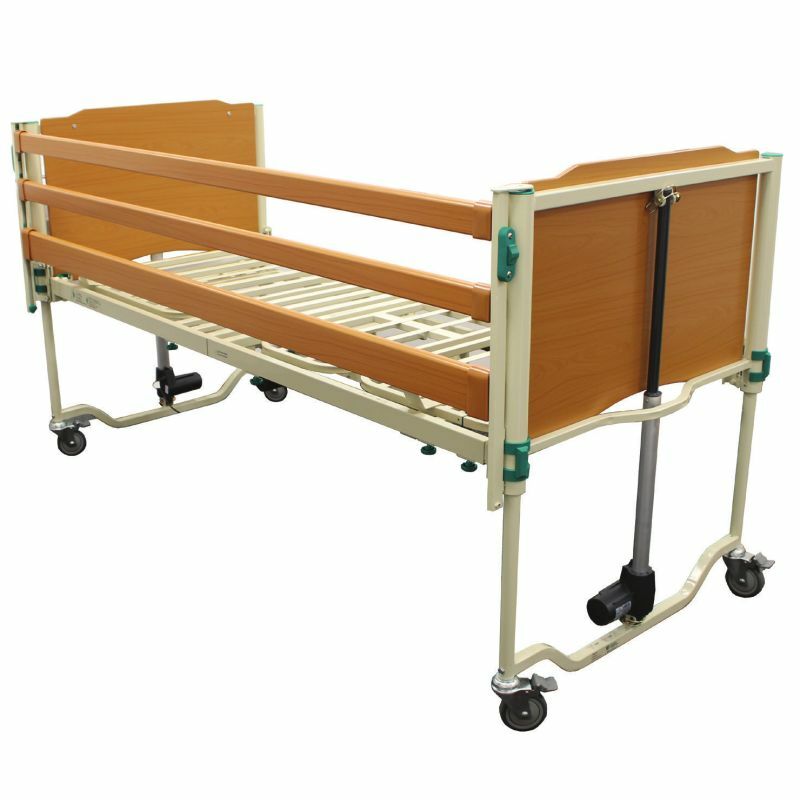 To help you set up the bed to meet your patient's needs as quickly as possible, these side rails have been developed to be easy to fit to the bed without the use of tools. The rails also feature a safety mechanism for locking and unlocking, protecting against unintentional activation. Please note: This listing is for the side rails only, and does not include a bed. Additionally, this item cannot be used alongside the Cura II Community Bed Grab Rail.